What do you think of when you hear the phrase "the grind?" Is it how you feel about your job? Is it the burden of life in general? Is it a faux commitment to fitness? I'm guessing you didn't feel good about it. If I were to answer those questions honestly, I would admit that sometimes I fall into the negativity trap associated with the grind. I hate that. What happens most of the time however, is that the grind becomes fuel for me. It moves from another lame excuse about "how busy I am" and "that life is so hectic" and moves me to look at things differently. Without the pressure of "the grind" I wouldn't take risks. Without the need to deliver I wouldn't try new things. Without the constantly changing business world, I would just be another boring leader who thinks talking about work versus actually having to deliver as an executive is "the grind." 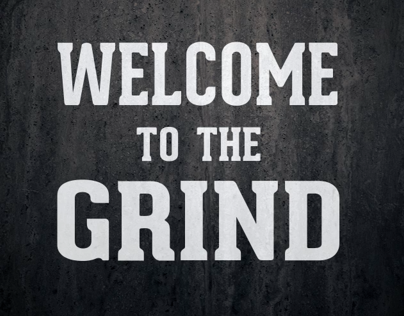 There is a dark side to the grind...one that can overwhelm, exhaust, and wear us out. The biggest risk of this grind is that we believe it is permanent. Let me say that again...the biggest risk is that we believe the negative grind is permanent. Work can be frustrating, so what? Life can be frustrating, so what? Important things are supposed to be difficult some of the time. That stress can be turned into energy to do things you never thought possible. That pressure can be focused on new ideas, new ways of thinking, and new ways to take you, and your organization to a new level of performance. How are you going to embrace the grind today and make a difference in your world?